This collection memorializes the very special times we shared working together while the band was based in San Francisco. This second Starcastle archival collection was inspired by Gary Strater’s work in compiling alternate versions of songs from the first four Starcastle albums, a collection entitled “Chronos 1”. 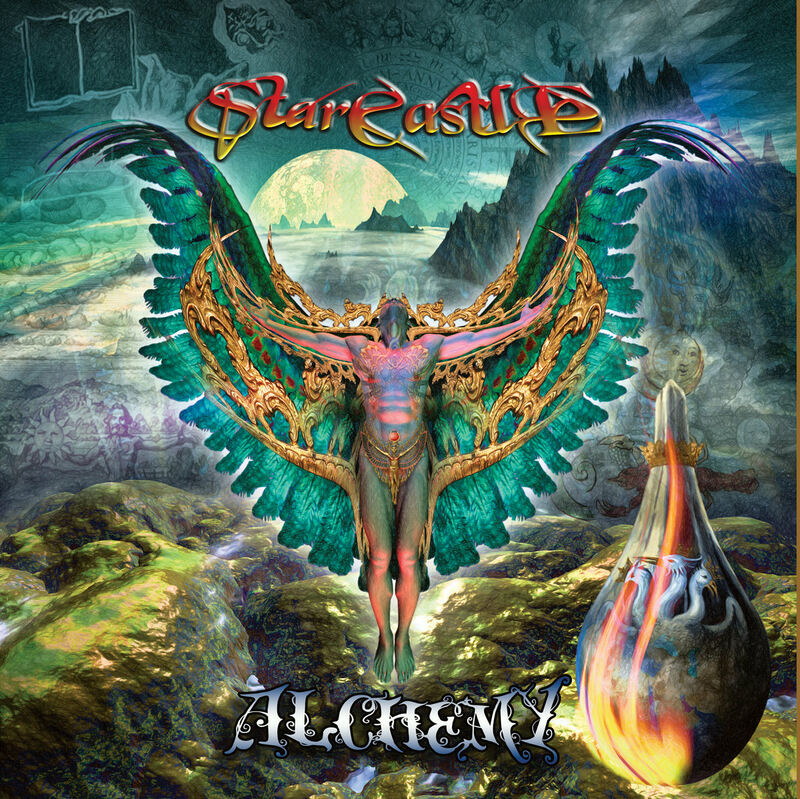 There had been discussions about compiling a similar collection of material from Starcastle’s time in California and this lead to the creation of “Alchemy” which embodies the best available versions of each song written during our time there. It consists of studio demo recordings, rehearsals and live performances. These recordings are the original versions of six songs you will recognize from the last album, “Song of Times” as well as a number of other unreleased songs from that time period. The songwriting process was usually very productive with each session consisting of intensive work on the songs, but always included time for sharing stories and humor. What was amazing to us all was how quickly everything came together – most of our songs were completely finished and rehearsed within just a few months. Many of the writing sessions and rehearsals were recorded so that we could analyze our progress, working out final versions of the songs as they were being developed. A bit later on, we began recording our live performances never realizing how precious and valuable they would become to us in later years. Had we known what the future would bring while we were scattered throughout the U.S and with Gary’s passing in 2004, we would have recorded everything properly in the studio . . . but we are fortunate that these recordings exist and were preserved for over 30 years. With all this in mind, you should know that for live performances and rehearsals we employed the very “high tech” recording process of inserting a cassette tape into a boom box, placing it somewhere in the room and then pressing “record”. Hundreds of hours of these cassette tapes exist and “Alchemy” represents what we believe are the best versions of these songs as they were written and provide the best overall mix of performance and recording quality. With the release of “Alchemy” we wanted to convey the chemistry that existed between the four of us during that very prolific time period. We hope you enjoy this archival release, that you experience the energy of each song as it originally came into being and the excitement we felt in creating it. Thanks so much to everyone who supported us with this effort both at that time and throughout the years, and we are very grateful for your continuing support. Click here to learn more about Alchemy.